Research has shown that a red blood trail triggers the natural feeding response in fish. 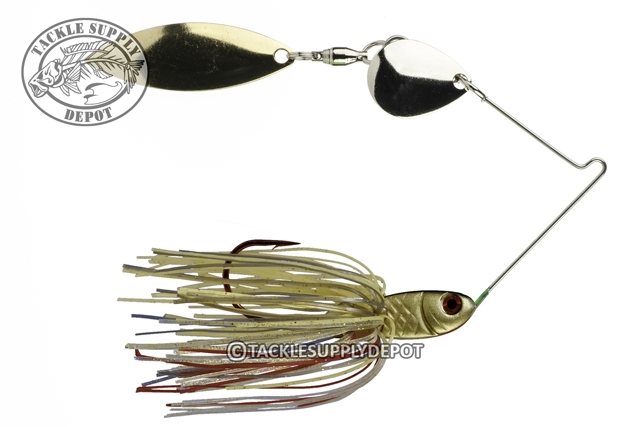 With a bright red Bleeding Bait hook and special Blood Trail coloring throughout the skirt for fish to key on, Strike King's dual-bladed Bleeding Bait Spinnerbait is deadly! Quality construction, quality vibrating blades and injured baitfish characteristics combine all into one to make the Bleeding Bait Spinnerbait a must have!